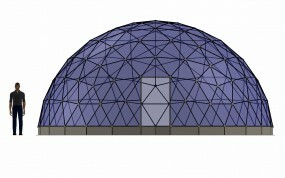 This tall dome with height enough for tall citrus trees and palms, is ideal for a multitude of commercial applications. If you are planning a café, hotel spa, dementia garden or visitor attraction this could be the dome for you. x over 45 you may require a second door for building controls.